In the last few years Warner Bros has followed the Disney model and has been producing a range of collectibles based on their fabulous assortment of characters and movie tie-ins. Characters range from Bugs Bunny to Scoobie Doo, films from Batman to the Wizard of Oz, and shows from ER to Friends. Many of the collectibles are produced by Warner Bros themselves but increasingly outside companies are producing collectibles for the stores. Disney has been very successful in creating prized collectibles from a number of top companies such as Swarovski, Lladro, Lilliput Lane and Armani. 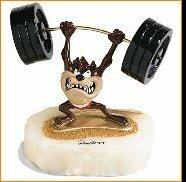 Warner Bros has created many pieces including a range of Radko ornaments, a series of Steiff toys including Bugs Bunny, Sylvester & Tweety, and a range of popular figures by artist Ron Lee. Warner Bros Beanies have quickly established themselves as the biggest selling item. There have been a number of special editions relating to events such as Christmas and Halloween, and country specials. There have also been a number of retirements in the regular line, which saw the recent introduction of nearly every character in the Warner Bros cartoon library. The main characters used are Bugs Bunny, Scooby Doo, Tweety, Sylvester and Taz. The number of collectors collecting Warner Bros items is growing rapidly. Animation art is popular, and others collect cookie jars, salt & pepper shakers, collectors plates, badges etc. 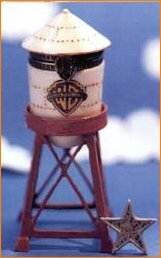 The Warner Bros stores produce new products continously and the turn over of items is fast. Many items are only available for a short space of time, and some of these items can become immediately sought after and collectible. Unusual, limited edition items and those only available for a limited period have most chance of becoming collectible. As is often the case, people decide they want items when they are no longer readily available. In some cases items that sell extremely poorly for some reason can also become collectible. 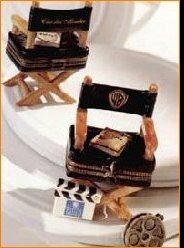 A Warner Bros Collectors Guild began in 1996 (charter year 1997). Charter members received an excellent figure of Bugs Bunny and were able to buy some exclusive members only collectibles . However, after the first year it was decided to cease with membership fees and make the club free (no joining gift). The Guild only operated in the US, but it was possible to join from overseas. The Bugs Bunny figurine is sure to become a must for Warner Bros collectors.